Shiva hours: from 7:00 to 9:00 p.m. daily. Due to the advent of Passover, shiva ends Thursday evening. Dear Igor and family, Sending our deepest condolences on the loss of your dear mom. May you have no more sorrow. My sincere condolences on your mother's passing. Your 128 Bus acquaitance. 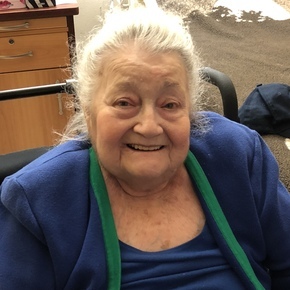 On Friday, April 12, 2019, at the Jewish General Hospital. Beloved mother and mother-in-law of Oleg and Nikki, Igor and Anna. Treasured grandmother of Bailey, Emilia and Lara. Survived by her second husband, Lazar Baranovsky. Predeceased by her parents, Bella and Pinhas, and her brother, Anatoly Cherniakovsky. Sarra was born on October 25, 1935 in Kiev, Ukraine. She married at the age of twenty and had her two sons. Sarra and her family immigrated to Canada and landed in Montreal in January 1975, where she resided until her death. The family would like to thank the staff of 5 North at Maimonides Geriatric Centre, especially Sarra’s caregiver, Marijes, for their care and attention over the years. Funeral service from Paperman & Sons, 3888 Jean Talon St. W., on Tuesday, April 16 at 10:00 a.m. Burial at the Independent Hebrew Cemetery, de la Savane. Shiva at 745 rue Satim, Saint-Laurent, from 7:00 to 9:00 p.m. daily. Due to the advent of Passover, shiva ends Thursday evening. Contributions in Sarra’s memory may be made to the Donald Berman Maimonides Foundation, (514) 483-2121 ext. : 2207.